Do I Need Percocet Rehab? Is There Percocet Treatment? What is Percocet? Is Percocet Addictive? The abuse of prescription opioids like Percocet is highly prevalent in the US. With increased painkiller abuse, we've seen increased rates of overdose, high-risk behaviors, emergency department visits and, ultimately, a growing need for addiction treatment efforts. You may want to consider checking into rehab for your addiction to Percocet if you have experienced some or all of the factors listed below. Get Help Now Don't let the pain of Percocet addiction take one more day away from you. Find a treatment center today. If you have previously suffered an overdose and continued using, you may be at risk for another overdose that requires monitoring at the inpatient level. This is particularly the case for elderly patients who have an increased susceptibility to overdose because of coexisting physical conditions that may exacerbate the respiratory depression of Percocet. You have tried to quit using on your own but return to using in order to relieve withdrawal symptoms or because you are having cravings. Prescription pain medication users who admit using the medication to experience euphoria tend to have greater 'craving' for the drug and also go on to develop abuse and dependence patterns, compared to users who primarily take the drugs to reduce pain. Craving may also represent an urge to self-medicate underlying depression or anxiety - another indication that treatment may be beneficial. You may also need rehab if you have completed detox previously but returned to using, or you have tried to stay sober while attending outpatient treatment and have been unsuccessful. Your current environment is enabling. You need to remove yourself from a current living environment that enables you to keep using or from other people who are using. Your prescribing physician has indicated it would be beneficial for you to receive medication-assisted detoxification. You are currently using other drugs. Research indicates that prescription opioid users have high rates of comorbid alcoholism and nicotine dependence and generally initiate drug use at a younger age. The risk of contracting STDs like HIV is higher amongst prescription opioid users that concurrently use another drug, so a comprehensive assessment of your substance use history in an inpatient rehab will benefit you in recovery. When you go into rehab, the admission or intake process is usually done in different steps and includes interaction with staff from support services to the medical or nursing department. Support staff will make copies of your identification and insurance card and have forms for you to fill out and sign. An intake coordinator collects information such as how much you have been using and if you are using other drugs, mental health history, previous treatment history, demographics and any other information that may need to be addressed during your stay. You will have a physical examination that allows you and the doctor to discuss your medical treatment options. You will provide a urine sample, have your belongings searched and be shown to your room. You will sign a preliminary treatment plan that includes medications you will be given during the detox portion of your stay. The detox process will take anywhere from 5-10 days depending on how much and how long you were using. You may be encouraged to attend group and individual therapy sessions during detox and you will be expected to participate more actively in these sessions once you are safely detoxed. In the case of persistent pain after detoxification, suboxone or buprenorphine may be administered. In a comparison of methadone and suboxone for treating opioid-dependent patients with persistent pain, suboxone improved mood, personality factors and overall psychological symptoms of patients compared to methadone. However, methadone was more successful in reducing illicit opioid use compared to Suboxone. The efficacy of any medication depends on the individual abuse profile of the patient. 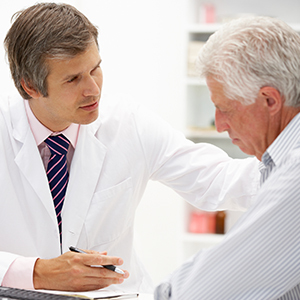 Buprenorphine has been found to be effective in the elderly and across different types of pain, e.g., cancer and neuropathic pain. Buprenorphine produces lower withdrawal symptoms and has a ceiling effect on respiratory depression (compared to methadone, which can suppress respiration). Research shows that augmenting medication treatment with psychological therapies greatly increases positive treatment outcomes like abstinence, well into recovery. Brief motivational interventions are designed to give drug users a focused recommendation on their behavior in order to prompt them to make healthy decisions about using. Brief motivational interventions have been effective across substance use problems and are especially effective in encouraging even non-treatment seeking individuals to focus on improved future use of the substance. CBT helps individuals recognize underlying thoughts and cognitions related to substance use, so that this heightened awareness can help them learn strategies to overcome problem behaviors. Research shows that the prevalence of psychiatric problems related to depression and anxiety are disproportionately high in prescription drug users, so CBT may be particularly beneficial at impacting this segment of the opioid abusing population. Many advances have been made in substance abuse treatment and therapeutic interventions to reduce use. However, making the decision to go to rehab can be overwhelming, especially because of the number of available options. If you need help finding a Percocet rehab program that suits your needs, or the needs of a loved one, please call 1-888-993-3112Who Answers? today. Rehab should be individualized for each patient but most places offer a 30-day program that can be beneficial if you are still working or going to school and only have a short amount of time off. If you are a chronic user or have experienced relapses, 30 days may not be enough and you may benefit from a 60 or 90-day program. Residential rehab is just like it sounds. It is a treatment center where you reside while you are receiving treatment services. Residential rehabs generally provide access to medical monitoring, similar those offered in a hospital setting. Private rehabs are not just for celebrities and athletes but can be for other prominent professionals like lawyers, doctors and nurses. These provide the option of treatment in a secluded location with individual rooms. Luxury rehabs are going to be most expensive but provide better food and additional services such as massages and vitamin therapy. Executive rehabs are for those of us that are unable to completely unplug from our professional lives. They allow for access to computers, cell phones and Internet so you can keep working while receiving treatment. Some rehabs are dual diagnosis treatment programs that treat not only the addiction but any co-occurring mental illness as well. This can be especially beneficial in treating anxiety and depression that may be secondary to the addiction. Many rehabs will offer a discounted price for the entire length of the program if paid up front. Asking for a personal loan from your parents or other family members may provide a potential payment source for some. If you take out a loan from your bank, consider how much interest you may pay over time and if it still makes paying up front a viable option. Some rehabs may also work out an in-house payment plan if you are only able to put down a certain amount of money. If you have a high-deductible insurance plan and contribute to a health savings account (HSA) you can use money in that account to pay for rehab. Does Insurance Cover Rehab for Percocet? Health insurance companies must now offer behavioral health coverage as part of the Affordable Care Act. 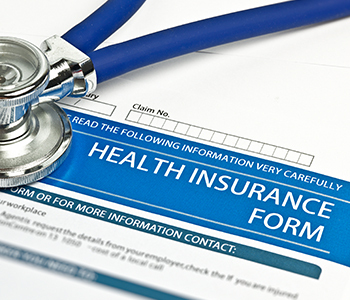 Check with your insurance company to see if you have behavioral health coverage and if substance abuse services are covered within your plan. 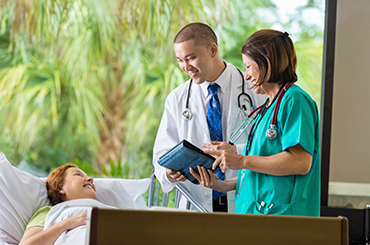 Some plans will only cover rehab if you meet medical necessity for being at the inpatient level of care; make sure to ask your insurance company about any stipulations. Before you leave rehab, you and your counselor should meet to develop an aftercare plan that includes necessary information meant to help you continue to succeed in sobriety. 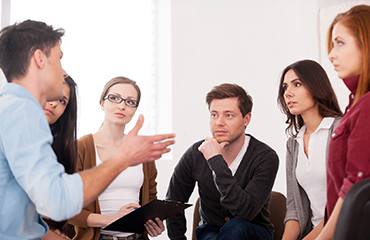 Find a Meeting Recovery meetings, such as 12-step programs, can be great resources to sustain sobriety after rehab. Find a meeting today. Other things to include in your aftercare plan are doctor's appointments, sober living or transitional living and 12-step meetings. It can be overwhelming trying to find the rehab that is going to meet your specific needs. Do a search for rehabs within a 50-mile radius of you and check out websites of facilities that come up in your search. Look for rehabs that specifically address addiction to Percocet or opiates. Call them up and ask them to talk to you about their program. If the cost sounds affordable, see if you can set up a tour of the facility. This does not lock you into admission to the facility and may put your mind at ease when making a decision. If you have seen your Percocet use become a problem and are having trouble stopping, call 1-888-993-3112Who Answers?. A treatment support specialist will walk you through your options, so you can take a confident first step down the road to recovery.